Home/Android tips/Android Mobile Phone Setting Jo Ap Jarur Change Karna Chahenge ? 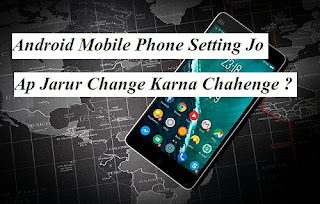 Android Phone Setting Ap Jarur Change Karna Chahenge ? Apko bata deta hu apka phone agar lock Screen me hota hai to apko notification Show hote hai magar ek aaise setting hoti hai jisse enable karte hai to apko koi bhi notification Show nahi hoga aur lock Screen me notification hide Content Show hoga .